The 2018 JeepTrailhawk 4X4 is just one of the select Jeep models available during the Jeep Black Friday Sale happening now near the Denver area. Enjoy the adventurous nature of this versatile and very maneuverable new Jeep with an impressive list of features and functionality. Find an affordable compact SUV that doesn’t just look rugged, but is ready for action during this amazing Black Friday Sales Event happening now in Boulder, Colorado. 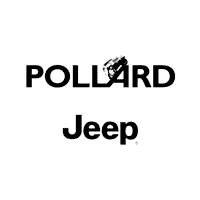 Contact Pollard Jeep of Boulder, Colorado for information about the Pollard Discount pricing and available rebates you may qualify for.